FinnishNews & NordicWeek is giving space to Zero Hour, a great youth movement in the US that is fighting hard for Climate Change policies. Here is their most recent communication which should inspire readers in the Nordics and elsewhere into action too. We recently had a soft launch of our #GetToTheRoots campaign on social media. For this campaign, we are training hundreds of young ambassadors to talk about climate justice in their communities. To get involved, go to http://thisiszerohour.org/our-actions/. Now, on Earth Day, April 22nd, we will get ready to officially launch the #GetToTheRoots campaign! We will also be announcing a new action happening this summer in Miami. The event will be at Busboys and Poets, 450 K St NW Washington, DC 20001 from 6pm EST to 8pm EST, and will be live streamed across Zero Hour’s social media platforms. Stay tuned for more information. In the meantime, many of our partners also have some amazing actions on the rise. 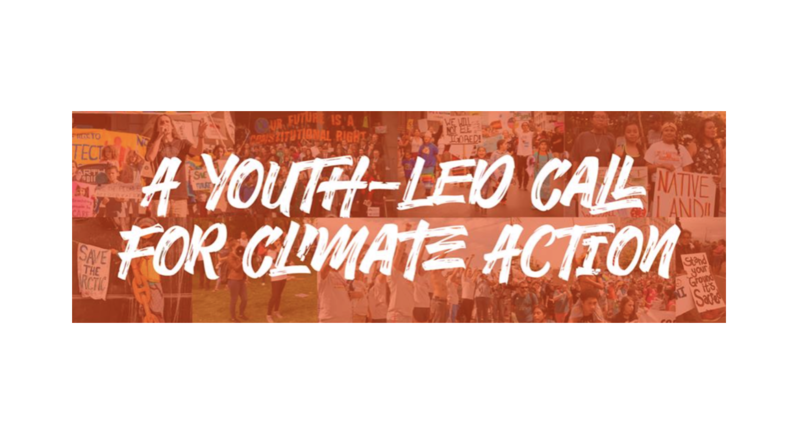 Our Climate is organizing a massive youth lobby day coming up on April 9th. For more information, visit https://www.youthlobbyday.org. A student leadership team, supported by the Alliance for Climate Education (ACE), iMatter, Sunrise Movement, Power Shift Network, Climate Generation, and Earth Guardians, are launching a campaign called Class of 0000, where they will use commencement to demand climate action from Washington. For more information, visit their Facebook page at https://www.facebook.com/acespace/videos/440101880082473/. Greenpeace USA is working on a new campaign called the Social Media Hive, where they will use social media to target corporations, politicians, etc. in an effort to get them to stop harming the planet. To learn more, go to https://www.greenpeace.org/usa/join-the-social-media-hive/. Green For All just launched their #FuelChange campaign to mobilize people around zero-emission transportation. To see their new music video, click here.